PC Fix is a family-owned business serving the Seattle and Eastside metro areas. Established in 1999, PC Fix has gone on to become a leader in computer services. We provide onsite computer and networking services to both business and home clients. 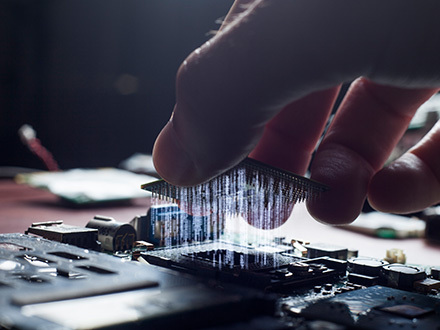 Whether your network has 1 or 100 computers, PC Fix can optimize its performance, troubleshoot issues and provide technical support, depending on your needs. Our technicians are among the most knowledgeable and professional in the computer service industry. Ask any of our customers or read any of our reviews, and you’ll see story after story of simple, effective, low-cost computer repair. We know that every customer is looking for consistent, high-quality service, and our goal is to exceed expectations every time. We put your needs first and do our best work for every project we undertake. As big as we’ve grown, we’re still a family-run enterprise that operates on friendly, personalized service. At PC Fix, we build, repair, maintain, and upgrade computers and networks at each of our 3 locations in the Seattle area. We also sell a variety of computer software, hardware, and replacement parts in-store. In addition to computer-related services, we provide a comprehensive range of IT solutions for small- and medium-sized businesses. Our certified technicians are trained to help with anything from a simple software installation to full network support.